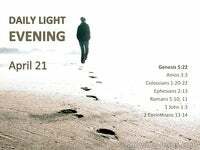 What Does Psalm 119:103 Mean? 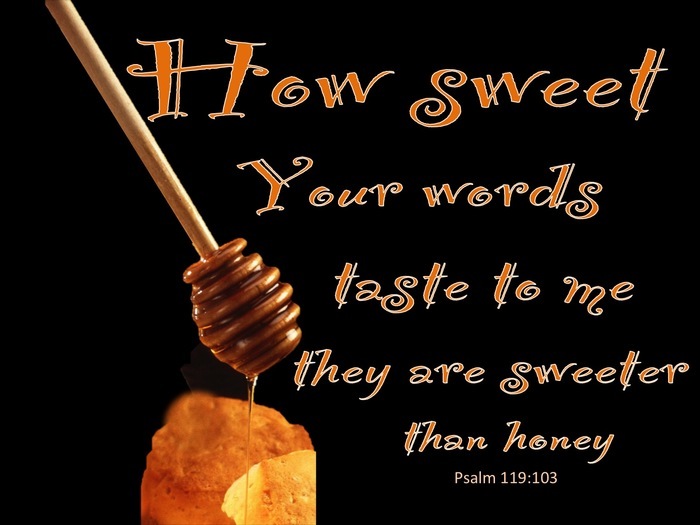 How sweet are your words to my taste; they are sweeter than honey. What great delight the Psalmist took in His Lord - for he had discovered His God to be more precious than the splendid wealth of many kingdoms, deeper than the immense depths of the extensive ocean, vaster that the immeasurable extremities of the universe and sweeter to the taste than the very sweetest honey dripping down from the overflowing honeycomb. 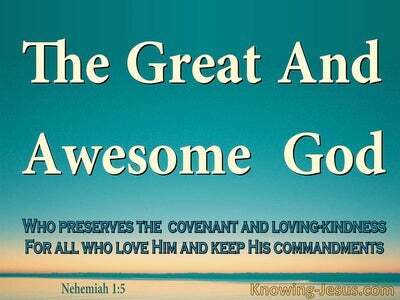 It was the Word of the Lord that caused such an explosion of ecstatic comparisons and superlative proclamations in this inspired hymn of praise, and every verse in this magnificent psalm pays tribute, in one way or another, to the worthiness of the Word of the Most High God. David is truly satisfied with the Lord and his entire song pays tribute to the wealth of treasure that He is mining from the holy Scriptures. The Word of the Lord is food for the soul; comfort of the heart; help for the afflicted and shelter from the storms of life. 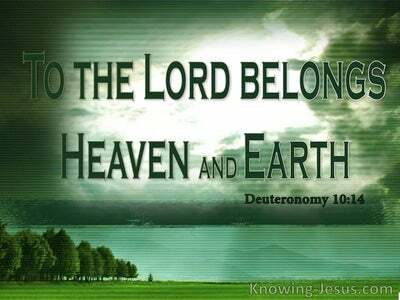 The Word of God guides and instructs - it corrects and teaches, and the inspired writings of Scripture become to the believer sweeter than honey, that is drippings from a honeycomb and more to be desired than much fine silver and gold. But the Word contains both bitterness as well as sweetness, for although the testimonies of the Lord are as sweet honey in the mouth, they can become bitter as gall in the stomach. The amazing gospel of the grace and glory of Christ that removes condemnation from all who are saved by grace through faith in Him, is the same gospel of truth and righteousness, which places all who have not believed in the only begotten Son of God under eternal condemnation and everlasting separation from the Creator Who made them. 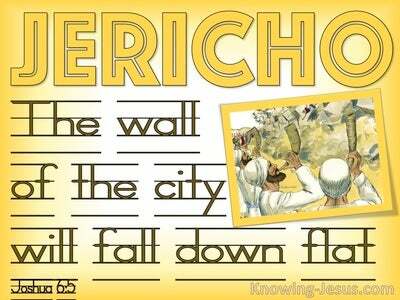 But the cross of Christ is a stumbling block to the unbelieving Jew and it is foolishness to the pagan gentile. The former keeps on looking into the sacred text thinking that words alone are able to give eternal life and the latter looks to their own worldly wisdom and unbiblical mindset as they seek eternal life in the broken cisterns of this world, and worship and praise the creation rather that the Creator, Who deserves their honour and praise. "But I AM the Word - the living Word of truth in Whom alone is life eternal, and every single verse points to Me, for I am the One and only Word of Life. I Am the One that is more precious than fine gold, and I Am the One that is sweeter than honey that drips from the honeycomb." 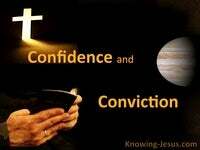 Yes, it is JESUS to Whom the Word of God points. It is He Who is more to be desired that much fine gold. 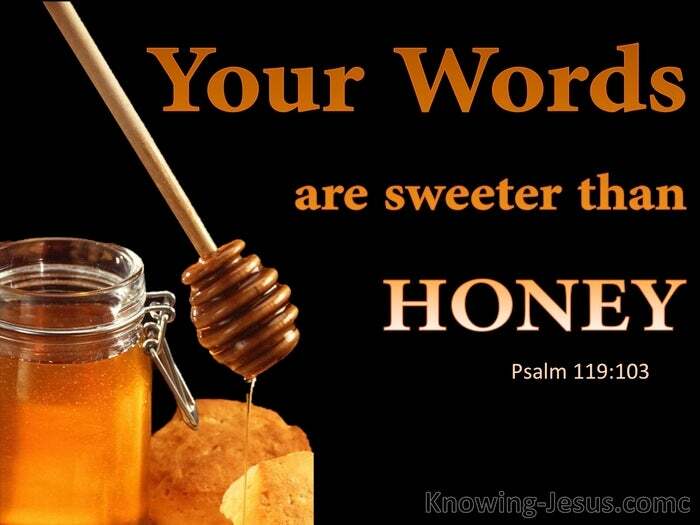 He is the Word of Life the Word of Truth and the Word of Peace and the Word of Hope - for it is Jesus Who is sweeter to the taste than the very sweetest honey that is dripping down from the overflowing honeycomb. 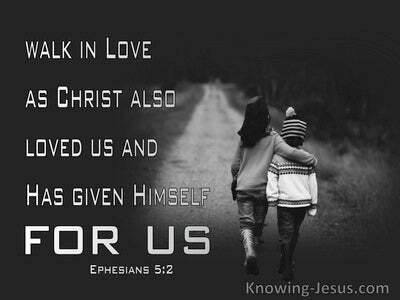 Thank You for Your written Word which only points to Your Living Word.. the lovely Lord Jesus Christ. Thank You that all that I need for life and health and wholeness is found in Your Word. I delight to meditate on You Lord Jesus.. and drink deeply from the life-giving truths that are contained in You, for the Psalmist truly stated that knowing You is more precious than gold and trusting You for salvation is sweeter than honey to the taste – for which we praise Your wonderful name, AMEN.